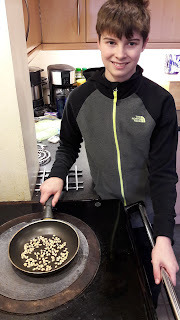 I don't usually buy ready meals but with work being so busy and William now at college our teatimes are getting later. When I saw the BritMums Rustlers Burger Hacking Challenge I thought it might be fun to take part and see what the chicken burgers were like. 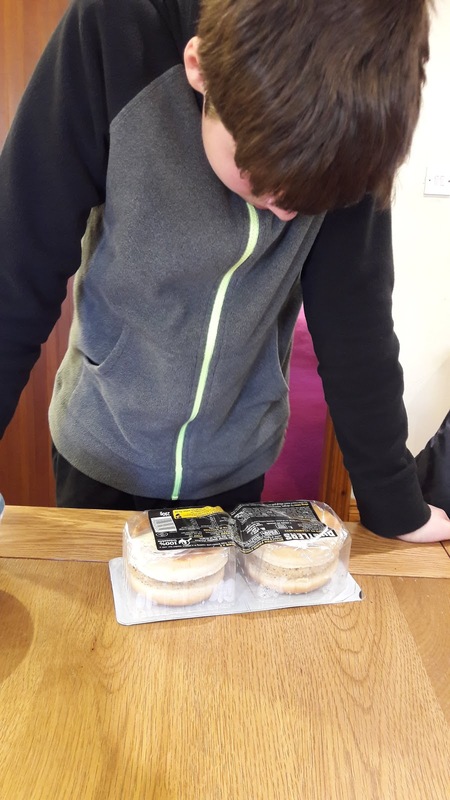 We went to Tesco to pick up the Rustlers chicken burgers and also bought the ingredients to transform them into "gourmet burgers"
Luke is quite a burger connoisseur, he always chooses a burger if we go out for a meal so he was quite excited about creating his own meal. 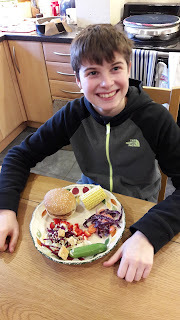 He decided to have his burger with coleslaw, corn and salad and started by toasting some pine nuts to put on his salad. 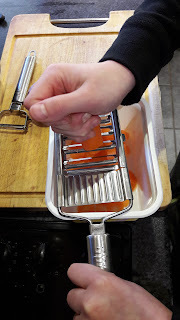 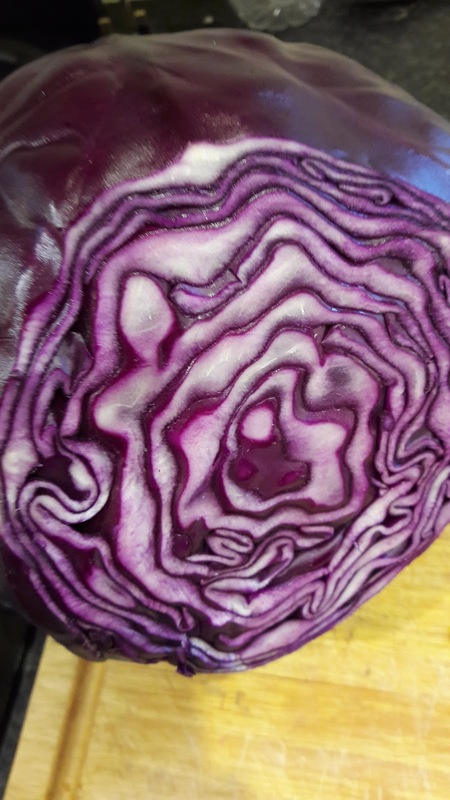 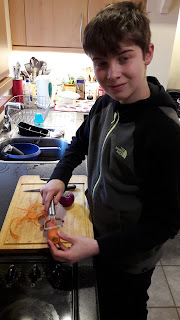 Whilst they were cooling he made the coleslaw, we bought a large red cabbage, carrots and onion and he peeled and chopped them before putting them in a bowl. Normally I would just add salad cream but we found a coleslaw dressing when we were shopping so we thought we would give that a try instead. Once the coleslaw was made he started preparing the salad. 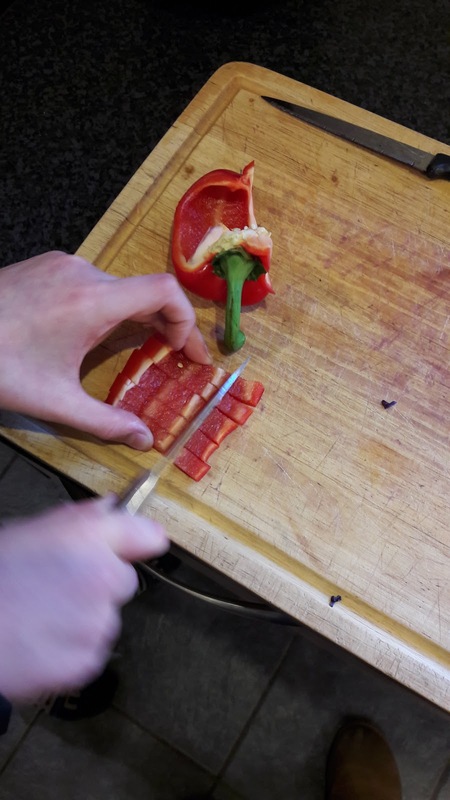 We bought some iceberg lettuce and baby cucumbers and then added some red pepper that we already had in the fridge. He then read the instructions on the packet and put the burgers in the microwave. 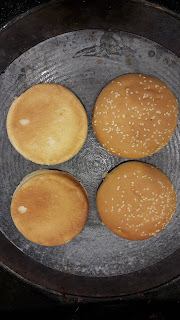 Rather than heating the bun in the microwave we opted to toast the buns which made them taste nicer. 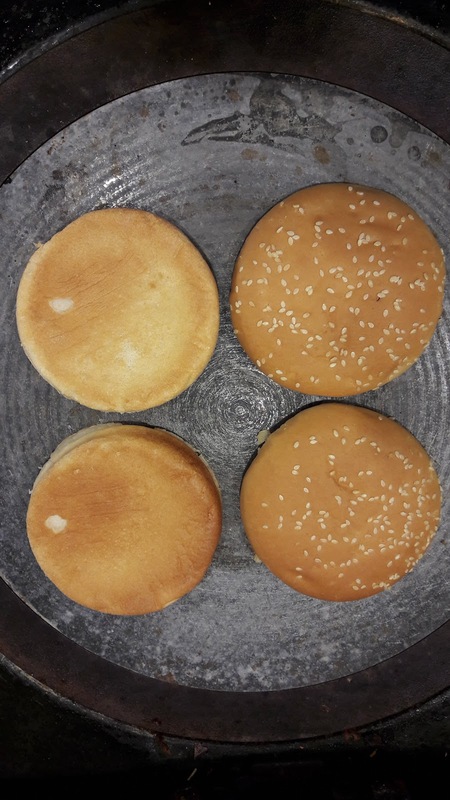 The burgers were really quick to heat in the microwave, only taking 1 and a half minutes to cook, perfect for a snack for the boys! 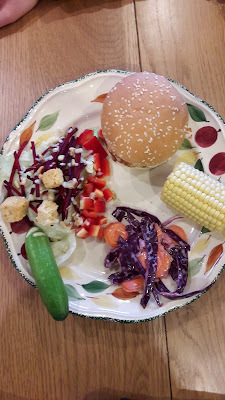 For the salad he had, lettuce, grated beetroot, peppers, a baby cucumber and added croutons, the toasted pine nuts and a honey and mustard dressing. 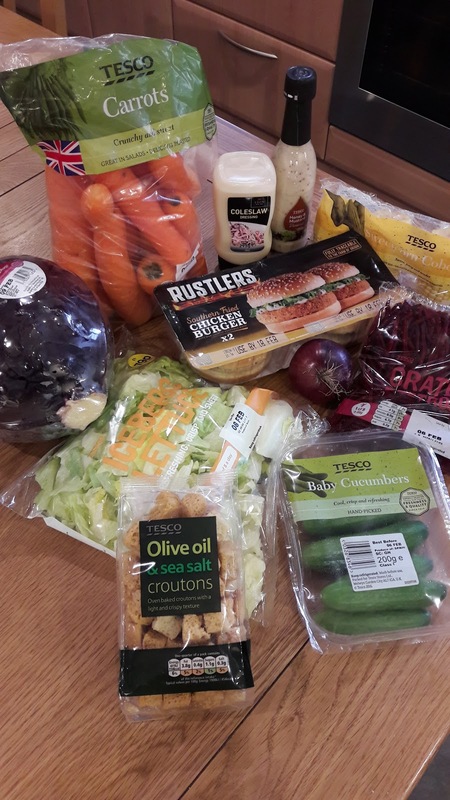 He also cooked some corn on the cob meaning he got more than his "5 a day" in this meal alone. 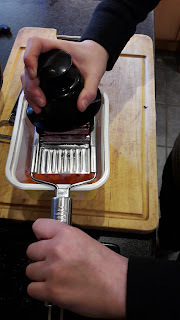 The burgers come with a relish so he added this to his burger and said it was absolutely delicious! 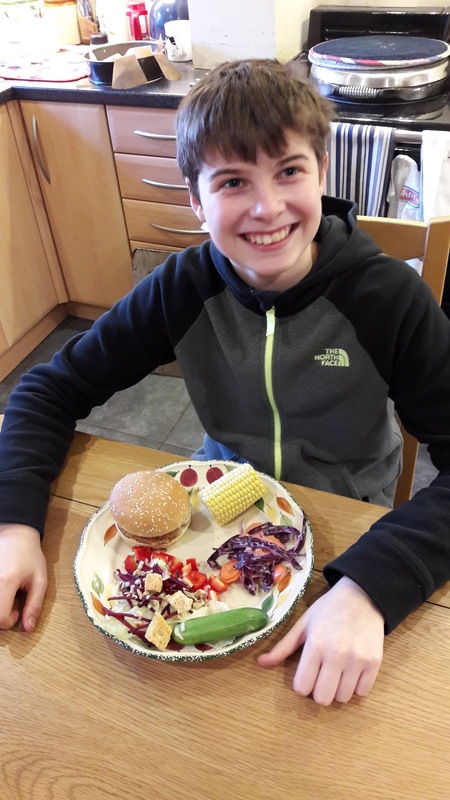 The burgers are quick and easy to make but as my lot have huge appetites they aren't enough for a main meal but they would be handy to have in the fridge for a quick and easy lunch. 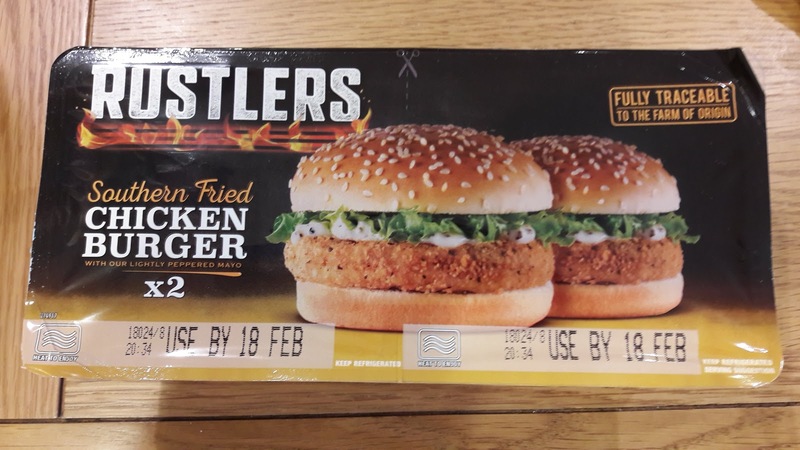 They cost £2.50 so why don't you pop to Tesco and try the Burger Hacking Challenge yourself and see what you can come up with.